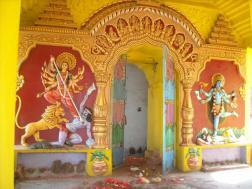 Lovi Thakurani yatra, the annual ceremonial function of Goddess Lovi, is observed every year on Kartik Purnima day. 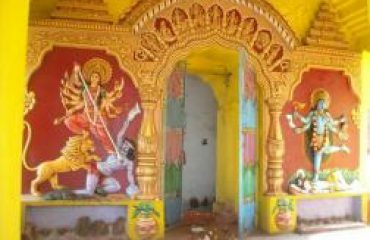 Garh Santry, seventeen kilometers away from the district headquarters town Angul, is the village abode of the presiding deity Lovi.The deity stands out from other idols of Hindu faith and belief because of Her peculiar name that is Lovi, which denotes greediness. However, the people of Garhsantry have to say that the meaning of the name is something deferent from what we generally mean in a negative way, rather it has a positive meaning that is greediness to devotion, offerings and all the more the sacrifice of egoism. 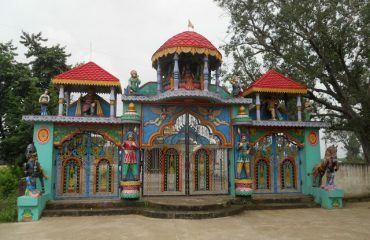 The annual festival is organized by the twin villages of Garhsantry and Tulsipal, where thousands of people all over the state congregate to offer their puja on the full moon day of Kartika when the sacred symbol of the deity is brought from aalam ghar the daily offering house situated at Tulsipal village with a ceremonial procession to the temple at Pidha sahi of Garhsantry. 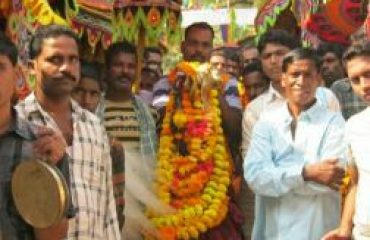 The grandeur of the procession includes mass and huge drum bits, holding up of chati taraas in addition to folk dance of Paikas. 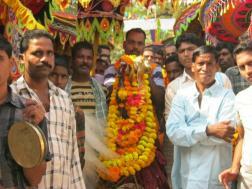 The dehury, the priest, holding the symbol of the deity on his shoulder, walks through out the procession of five kilometers along with a huge follower of devotees. 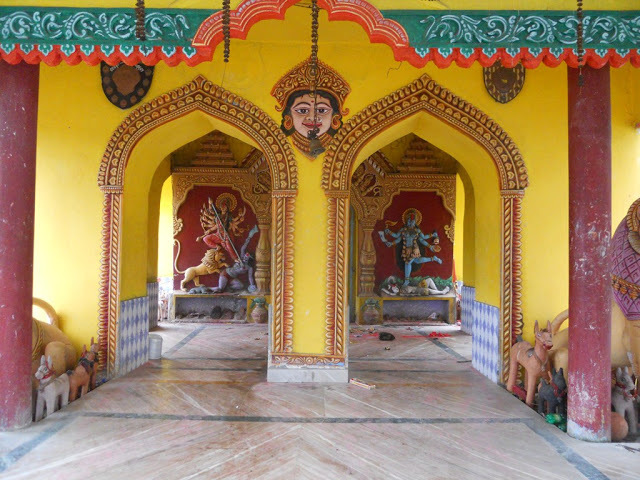 When he reaches to the temple which is already surrounded by a large number of temporary stalls, put the sacred symbol on a ceremonial dais and starts puja for two days consecutively. A large number of devotees start flocking in with offerings to have a darshan. 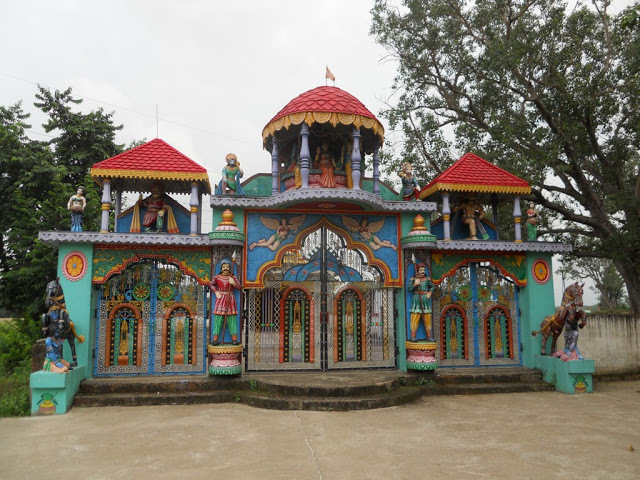 Some of the devotees of the local area have their child mundan for this occasion in a belief to get blessings of the Goddess so that they would lead a long and healthy life. 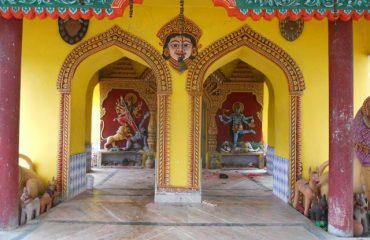 The fare at the temple continues for four consecutive days and on the last day the symbolic representation of the deity returns to its original domicile.